Wellington is the complete Weekend destination. 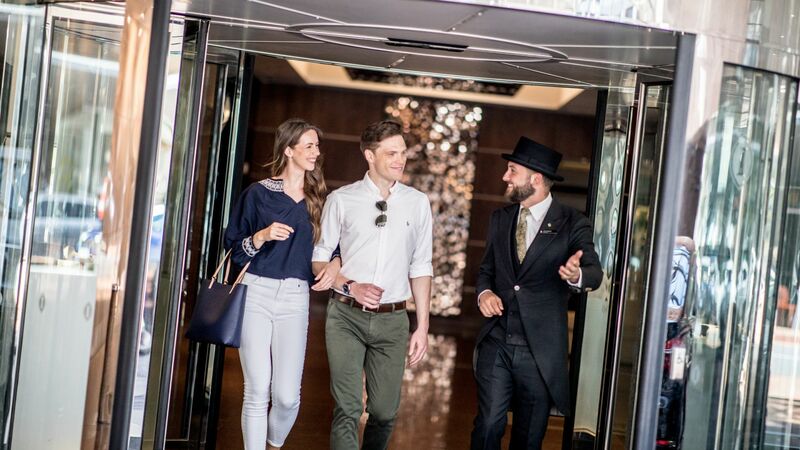 Whether you wish to relax, explore or indulge the Capital can meet your every need. With our Weekend Special enjoy overnight accommodation, complimentary buffet breakfast for two in Chameleon Restaurant and a late checkout of 4pm so you can savour every moment of your weekend escape. Conveniently located just a minute from Lambton Quay begin your Weekend escape with some retail therapy on Wellington's golden mile. Head through the vibrant Cuba quarter where there is an abundance of fine dining options and unique restaurants. Catch a show at the St James Theatre or enjoy some of Wellington's iconic nightlife on Courtenay Place. Complete your evening with a late night stroll along the waterfront before retiring to your room. Awake to an indulgent full buffet breakfast in Chameleon Restaurant, then the day is yours to explore with late checkout of 4pm. Click the 'Book Now' button below, select your preferred night and choose the room type you wish to indulge in during your weekend sojourn. *Terms and Conditions: Offer is subject to availabiliity and requires a weekend check-in (Friday or Saturday night). First night prepayment is required at time of booking and is non-refundable upon cancellation. Buffet breakfast is for two in Chameleon Restaurant. up to 3.0% credit card merchant service fee applies.